Lighting of the stairs is not a whim. The years of our experience and satisfied customers confirm this! 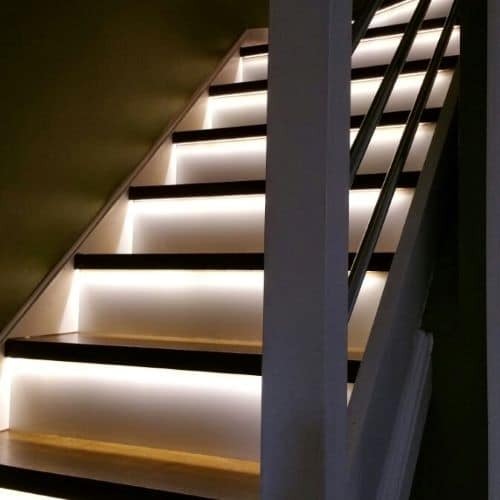 Our intelligent stair illumination system will give you the possibility to use your stairs in the evening and at night safely with low electricity bills. More and more of our customers are opting for modern solutions LEDs provide. 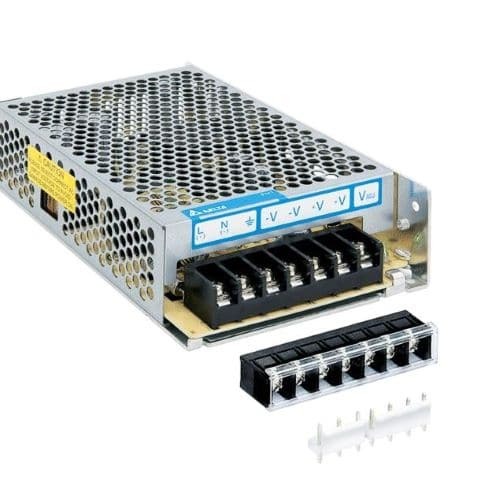 This system operates using the voltage at 12V. This means that the entire system is safe for the children and adults. 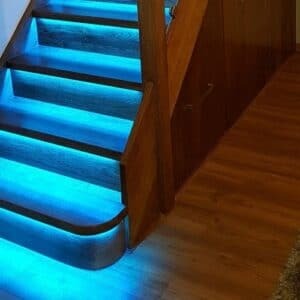 It uses 2 motion sensors – one is to be fitted at the bottom of the staircase and one at the top, therefore whether you approach staircase from top or bottom the lights will switch on and then off automatically. 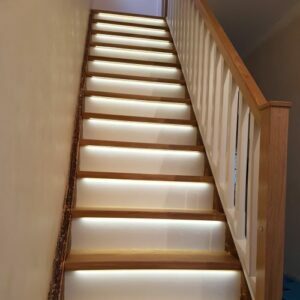 LED strips are made of an elastic white laminate and give a warm white light colour. 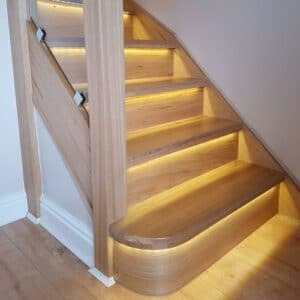 Their sizes and the possibility of cutting allows to install lighting in the smallest nooks and crannies. 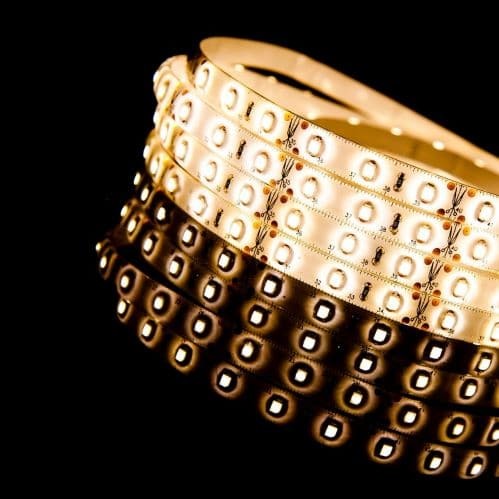 LEDs life time is estimated at 30-50 thousand hours. 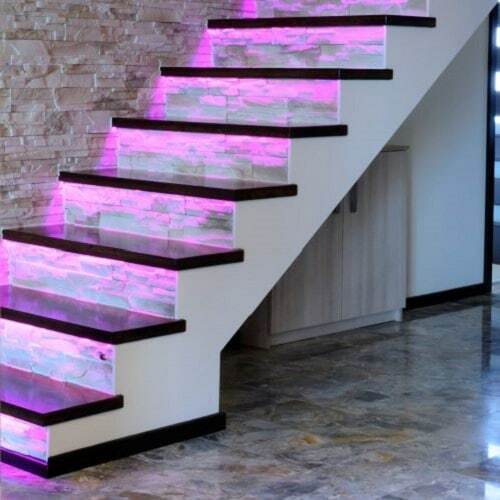 The led strips are water resistant – can withstand humidity to 93%. Mounting while facilitated by the fact that they are self-adhesive. The led stripes fit ideally into our pre-grooved oak treads. 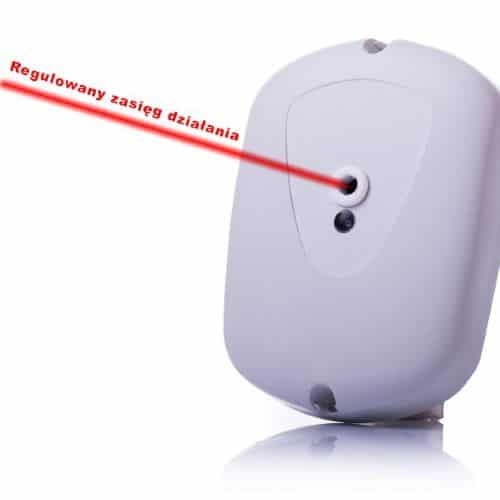 The final effect and attractiveness of this illumination system is limited only by your imagination – we supply a ready tool for its implementation. Full fitting guide is available to download below.